It’s a long-standing fallacy that all Winnipeggers have felt the brunt of at some point. Naysayers will reference our city as ‘Winterpeg’, that lackluster place where nothing ever happens and everybody looks forward to leaving. Fortunately, we Winnipeggers know better. We are rightfully proud of our city and our collective accomplishments, including many in the past year alone. There are very positive home-grown success stories in 2017 that should all make us sit up and take notice. As a modest city we tend to not want to boast, but there are many achievements that are worth talking about. There’s no need to be modest about it – Winnipeg is a thriving, vibrant city. There are exciting stories happening all the time that most people aren’t even aware of. Entrepreneurial drive is nothing new to the fabric of our hometown, but in recent years Winnipeg has developed a thriving tech scene. Multiple industry-leading companies that have grown and flourished here in recent years are now having a large impact on industries worldwide. As you gather with friends and family over the holidays, here are some of the stories you should know about and talk about. Winnipeg’s biggest success story in the past few years has been Skip The Dishes. Founded in 2013, Skip now has over 10,000 restaurant partners across 40 cities. Late last year, the company was acquired for $110 million, and has only continued to grow from there. With nearly 800 employees and a staggering 11,000 per cent growth rate, the company has recently been recognized by Deloitte as one of the fastest-growing tech startups in the country. E-commerce and digital media company Bold Commerce has grown by over 3,600 per cent during its last four years. Bold now has more than 160 employees providing tools and strategies to help businesses increase their online sales, and are continuing to execute on a long-term growth strategy in the e-retail space. Local startup Geofilter Studio has become the world’s largest designer of custom Snapchat filters (your kids will have used them), essentially creating an industry and market for themselves in the process. Only founded in 2016, the company has designed over 30,000 geofilters for individuals, events and companies that include McDonalds, Google, Coca Cola and more. Farmers Edge is a world leader in new technology applications for precision agriculture, an emerging technology that collects and analyzes data to increase crop efficiency rates. One of the fastest-growing startups in Canada, the company is internationally recognized as a pioneer in high-tech farming technology, with operations in five countries worldwide. It’s not just local startups that are having an impact on the world – the world is also taking notice of Winnipeg and its advantages, and we are starting to see the impact of that growing positive reputation. The number of new buildings planned for completion in the next few years is astounding. The $400 million True North Square will be a landmark for our city for generations. ARTIS REIT is planning a $140 million, 40-storey structure at Portage and Main to attract hundreds more residents downtown, while the $200 million SkyCity Centre will bring more opportunities for residential and commercial space. Just outside of Winnipeg, global food processing company Roquette announced this year that it was investing $400 million in a pea processing plant just outside of Portage la Prairie. The plant will be the largest facility worldwide dedicated to pea processing, with an anticipated annual production capacity of over 100,000 tons. Our newly renovated RBC Convention Centre is attracting larger conventions. Because of this, there is also growth in demand for hotel rooms across the city. As a result, nine hotels are being built or expanded with nearly 1,300 new rooms expected. All of these figures stem from demand-driven growth – people are looking to Winnipeg as a destination for meetings, getaways and more. There are many untold stories in Winnipeg’s business community that we should all be proud of and talk about. 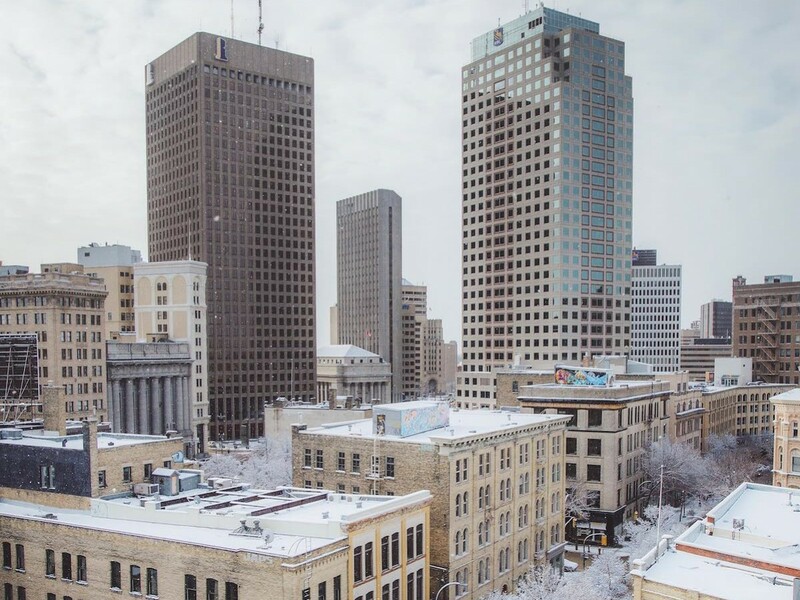 At Economic Development Winnipeg, we like to share these success stories at MyWinnipeg.ca – an information page that showcases our city’s strengths and achievements, as well as what to do, where to eat, and what’s happening. The next time someone asks you about what’s going on in Winnipeg, use MyWinnipeg.ca as an information resource. As ‘Winterpeg’ residents, we might sometimes fall into the trap of focusing on only the perceived aspects others may have about us. The reality is that the positive stories happening right now far outweigh any negative perceptions. We need to stand up and be proud of our success and our growth, because Winnipeg is bustling with new opportunity. If someone tells you nothing exciting ever happens in our city during your next work party, family dinner or holiday event – take the opportunity to share these stories with them. The work being done here deserves to be known and celebrated. Don’t let the naysayers tell you any differently. Winnipeg is trending upwards.